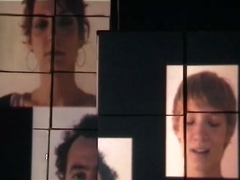 Deft & very attractive interweaving of video & live performance from pixelbirds. They make it look effortless; of course it’s anything but. of live performers to a projection. this is an excellent staging post.